The superheroes of moving! Marvel movers are able to exceed your expectations. They value your service, friendship, and hope that their customers are satisfied with their service. They are able to handle as many rooms as you have because of their operational fleet of trucks on demand. The truck sizes vary so that you always receive the best prices for your specific need. Marvel Mover’s staff are professional and dedicated. They want to ensure that you do not break a sweat on your exciting moving day. College Hunks is not just some ordinary local moving company. This company offers a lot more than moving. They also offer junk removal and donation pick ups. They offer office moving, home moving, or just moving labor. All movers are fully insured, licensed and bonded.They not only serve Dallas, but they serve the whole United States area and Canada. They promise a 100% stress-free moving. 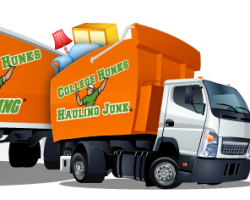 At College Hunks Hauling Junk Moving, they promise to go above and beyond your expectations. 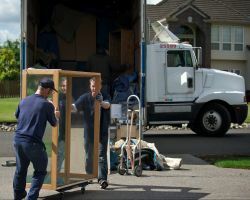 An established, fully licensed and insured moving company in Dallas, Texas, Small World Moving is full of honest and reliable movers. They are known for their affordable prices and great reviews. Their movers are passionate professionals that puts a customer’s mind at ease on moving day. The company is very straightforward with all costs so that you are able to know what is really going on at all times. They offer a variety of services from local moves to long distance or residential to commercial business. They also offer storage options and packaging services. With an A accredited rating from the Better Business Bureau and being a member of the Southwest Movers Association, Wrightway guarantees a stress free move for all customers. They guarantee the best price by 10% against any local moving company. That is not their only advantage. They have over 15 years of experience working in the Dallas area. 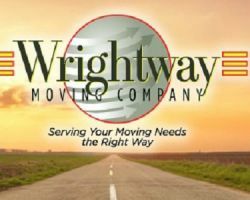 Whether you need movers, packing supplies or a cleaning service for your after-move out needs, Wrightway Moving can provide the best services for home, apartment, or office moves.